A new survey revealing that more than half of churchgoers don't know of the Great Commission has spotlighted the importance of a movement to spur more commitment to taking the gospel to the unreached—those who have never had the opportunity to hear the gospel. Organizers of the International Day for the Unreached (IDU, dayfortheunreached.org) say the urgency of their campaign is underscored by the study, Translating the Great Commission, which found 51 percent of those questioned were not familiar with the term describing Jesus' directive in Matthew 28 for his followers to "make disciples of all nations." In its third year, the International Day for the Unreached is being championed by an alliance of 11 missions and other Christian organizations concerned that too little money and manpower are going to sharing the gospel with the 2 billion-plus people around the world who have yet to hear about Jesus. 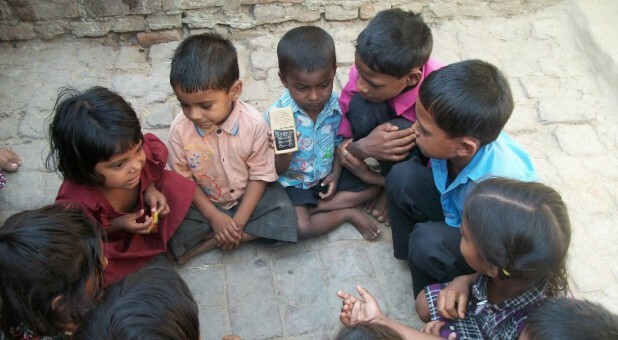 Central to World Mission's (WM, worldmission.cc) work is distribution of The Treasure, a solar-powered audio Bible for use among people groups with an oral culture or no access to printed Scriptures. More than 40,000 copies are given out each year through national partners, often alongside disaster relief, medical and clean water projects. Among the fruits of these efforts is a newly formed, first-ever house church in part of Myanmar (formerly Burma), where a World Mission partner evangelist gave copies of The Treasure to several Myanmar and Nepali families who subsequently came to Christ. "Every resource at World Mission is allocated to ensure people without access to the gospel hear the truth before it's too late," said WM President Greg Kelley. Partners International (PI, partnersintl.org) works with nationals in Africa, Asia and the Middle East, a region containing the majority of the world's Muslims and 80 percent of the world's poorest. Through 58 field ministry partners, the organization last year saw more than 2,500 new churches planted, trained almost 21,000 leaders, and served nearly 200,000 through community relief and development projects. Missio Nexus (missionexus.org) is a network of churches, missions agencies and training centers in North America committed to helping fulfill the Great Commission by providing ways for members to exchange ideas and resources through events, training and joint initiatives. The International Day for the Unreached is held on Pentecost Sunday because it marks the day when the Holy Spirit fell upon the early church, empowering members to take the good news into the whole world. The 90-minute live event to be hosted at the headquarters of Focus on the Family in Colorado Springs, Colorado, will begin at 4 p.m. Mountain time.